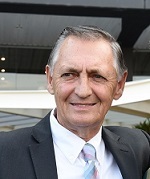 Champion trainer Peter Snowden doesn’t hand out unnecessary praise so his views on the rise of talented filly Moss Trip are worth taking note of. The three-year-old capped a sharp rise to stakes level winning the Group 3 James Carr Stakes at Randwick last month and the performance moved Snowden to hand out a serious rap. “I thought it was the win of the carnival,’’ Snowden said. Punters Intel reveals Moss Trip ran the equal fastest split from the 800m-600m then the fastest last 600m of 33.29 in the 1400m race. That’s part of the reason Moss Trip is the $2.70 favourite with TAB to add the $400,000 Inglis Guineas (1400m) to her growing CV, with stablemate Assimilate a $7 chance. Snowden said the filly’s Randwick win, on the back of a game fifth in the Group 1 Surround Stakes, showed she’s getting stronger. “I thought she would empty out for sure. In most of her other races she shows she has a good 300m sprint,’’ he said. Moss Trip, of course, carries the Triple Crown colours that are now synonymous with inaugural Everest winner Redzel, who has his final start this season in the Doomben 10,000 on Saturday before being set for his Everest defence. While Snowden can speak with confidence about Moss Trip, he’s less bullish about Assimilate who let the side down with his failure in the Carbine Club Stakes (1600m) on Day 1 of The Championships. Assimilate was well supported, starting $4.60, in the Carbine Club on the back of an impressive Canberra Guineas win at 1400m but after going back to last from a wide gate barely improved his position. “Last start it was tempo related but he was plain as well I’ve got to say,’’ Snowden said. “When you get back you need things to go your way. If they go slow up front, if they’re running 33 seconds and you’re seven or eight lengths behind there’s no way you can win. “In saying that, there was a horse back there with him that finished three lengths in front of him so he was a bit disappointing. Meanwhile, the Snowden stable will farewell Group winning mare Nancy after the Group 3 $200,000 Coolmore Dark Jewel Classic (1400m). The six-year-old was beaten three lengths when resuming in the Godolphin Crown and while Snowden was expecting more she did finish her last 600m in 34.32 which was 0.01 slower than runner-up Ghisoni. “She was a little bit disappointing at Hawkesbury but she was back and wide and had to do a fair bit of work,’’ he said. Of the stable’s other runners at Scone, Snowden warned not to overlook ex-Victorian Grande Rosso at his first run since switching from the Hayes stable in the Listed $150,000 Luskin Star Stakes (1300m). “I like the horse, he’s had a bit of racing but he’s come to us in good order. We’ve had him quite a while and he’s had two good trials. He is working particularly well, even though it is a solid race he’s definitely worth a tote ticket,’’ he said.